Get comprehensive information on the “Apple wants to make changes” popup virus and learn how to easily remove this infection from a Mac computer. The vectors of malware attacks focusing on Mac computers are evolving into growingly versatile and intricate campaigns. The classic forms of adware, cryptojackers or fake antispyware are no longer the exhaustive range of threats that zero in on macOS, although they certainly continue to dominate this ecosystem. The crooks have recently demonstrated that they are trying to go beyond the well-established paradigm, having launched a virus distribution wave that seeks to obtain users’ sensitive credentials. It comes down to displaying popup dialogs that say, “Apple wants to make changes”. This type of a message sure deviates from the common modus operandi of the famous vendor in question – you aren’t likely to ever encounter authentic notifications mentioning Apple in them. So, the fundamental point to get straight from the start is that these popups are fraudulent and shouldn’t be taken for granted. The structure of “Apple wants to make changes” popup provides unambiguous clues regarding the goal of this adverse technique. It also reads, “Enter your password to allow this”, with the “User Name” and “Password” fields right below the inscription. It’s clear that the adversary thereby wants to dupe victims into handing over their admin credentials. Given the fairly legit look and feel of these messages, it’s quite possible that some people will end up falling for the trick. If so, the consequences may get messy. Just think about it – the fact that the rogue alerts are showing up is an indication that a piece of malware is already inside the Mac, and it’s this culprit to blame for triggering the bad scripts that display the manipulative messages. The virus under scrutiny may stealthily communicate with the criminals’ Command and Control server, which is quite a typical way malicious code operates. Once you enter your username and password, the infection will probably transmit these details to the C&C in no time, and the malefactors will get one more trump card to expand the attack surface. They will now be able to hack into your Mac remotely, execute arbitrary processes on it and steal your personal data. The consequences of a successful phishing attempt like this can include blackmail for not making some embarrassing private information public, as well as contamination of the system with more severe malware. 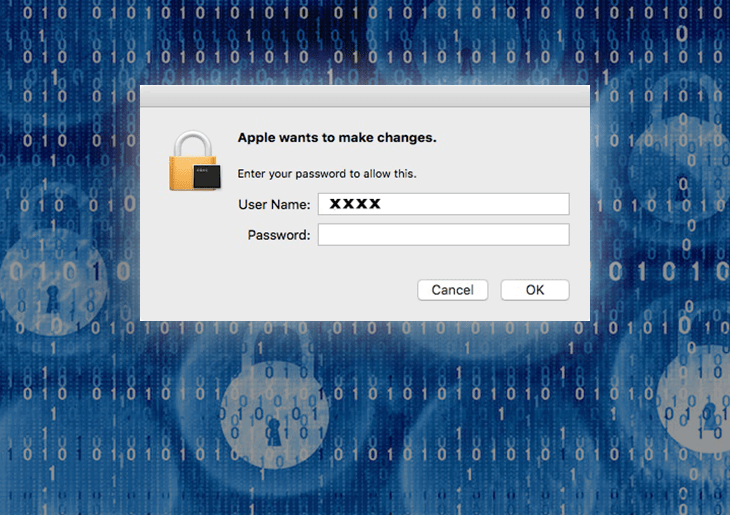 Mac users who are security-minded and doubt the legitimacy of the “Apple wants to make changes” popups usually run into difficulties finding the source of the problem and eradicating it. Simply clicking “Cancel” on the warnings isn’t enough to stop the brainwashing in its tracks. The popup does vanish after three iterations of hitting this button, but it will undoubtedly reemerge in a short while. Fortunately, the fix isn’t extraordinarily hard. The main thing is to follow the right steps in the right order. Read the sections below and find out what to do in order to wipe the malware and move on with your day. When confronted with malicious code like the “Apple wants to make changes” popup malware on Mac, you can neutralize its toxic impact by leveraging a specially crafted system utility. The Freshmac application (read review) is a perfect match for this purpose as it delivers essential security features along with must-have modules for Mac optimization. This tool cleans unneeded applications and persistent malware in one click. It also protects your privacy by eliminating tracking cookies, frees up disk space, and manages startup apps to decrease boot time. On top of that, it boasts 24/7 tech support. The following steps will walk you through automatic removal of the infection. 4. Check whether the “Apple wants to make changes” popups issue has been fixed. If it perseveres, go to the Uninstaller option on Freshmac GUI. Locate an entry that appears suspicious, select it and click Fix Safely button to force-uninstall the unwanted application. 5. Go to Temp and Startup Apps panes on the interface and have all redundant or suspicious items eliminated as well. The “Apple wants to make changes” malware shouldn’t be causing any further trouble.